Hot salsa on your holiday table? Why not? It goes great on potato latkes, is red and green, and offers colorful fresh low-calorie flavor to perk up just about any food you can name. No-cook salsa is so healthy you can practically feel the vitamins seeping into your system as a dollop of the stuff tingles its way down your throat. No wonder the spicy dipping sauce is popular throughout the Levant, where all three major religions were born. You can ladle it over rice and beans, grilled chicken, or simply mop it up with flat bread (or any bread—try it on cornbread for a treat). Raise the heat by adding more jalapeno peppers and/or garlic. Lower it by using less or by offering cooling dairy sour cream or yogurt alongside your hot salsa to temper the heat. It’s all in the cook’s hands. And oh yeah, vegetarians will love you for offering them something a little extra special at holiday time. Serve over Latkes with sour cream. 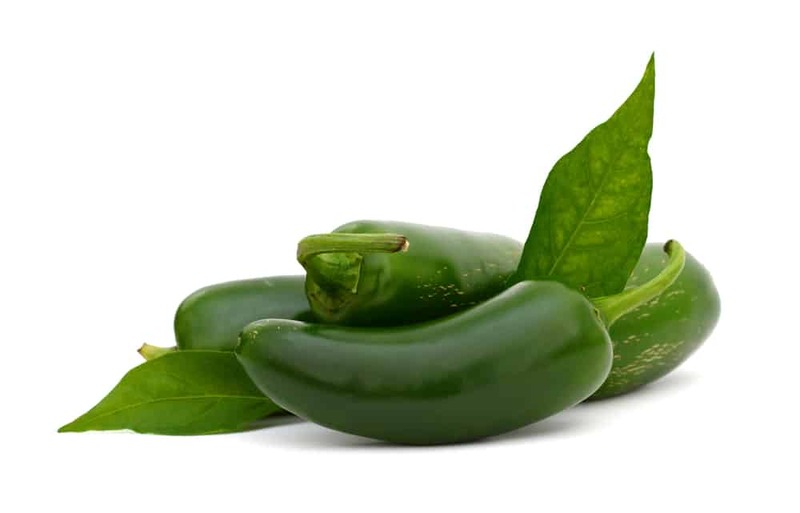 Remove stems from jalapeno peppers (wear gloves and avoid touching eyes). Discard jalapeno seeds and ribs if you prefer a milder salsa. Whirl garlic, jalapenos, parsley, and cilantro in food processor until finely chopped. Add oil, lemon juice, tomato puree, salt, pepper, cumin, and oregano. Process briefly. Add cut up tomatoes and chopped scallions or onions and process briefly. The salsa should be slightly chunky. Autumn comfort food, can you picture it, smell it? Another school day has ended and coming home, there’s a chill in the air. The ground is littered with leaves that crunch underfoot and there’s this feeling of something coming to an end. That’s because it’s the end of summer with all its freedoms and the bittersweet beginning of the new school year. Instead of a long day stretching out ahead and a never-ending list of how to spend the time ( or skip the list and do nothing at all), there is school. Every day. All day. All year. After the initial excitement of new schoolbag, new teachers, and the return to the familiar chalk and pencil smell of the classroom, gloom can set in. Your child may not have a name for what she’s feeling. But you can see how it is when she comes home from school. You can see it in the way she holds her back and her relief at being home, her childhood terra firma. Sometimes parents wish they could wave a wand and make things all better. But as children grow and stretch their wings, we understand that we must let them have their life experiences up to and including the natural disappointments that occur from time to time. We can’t wave these away. But we can offer our love and warmth, which is considerable. Parents have superpowers, don’t you know? We know when our children are sad and there’s a lot we can do to make them feel better. A cuddle is good. A joke helps. And then there is comfort food. Okay, so yes. I want you to cook. But I want you to have a magical experience, too. I want your cooking experience to be nearly effortless and with very little washing up. And I want the fruit of your labor to delight your needy child, home after what must have seemed like a day that would never end. Moreover, I want you to make something that evokes the season. Something with cinnamon. Something warm. So now, what could be easier, quicker, or more comforting than a baked apple you make in the microwave? Magic superpowers? You may not think you have them, but after your child sees how fast you whip up this scrumptious treat, she’ll be utterly convinced that Mary Poppins has NOTHING on you. Her smile tells you that. And it’s all the reward you’ll ever need. Good as is or with vanilla ice cream and maybe some granola sprinkled on top! Core the apples, but not all the way through. Leave the bottom of the apple intact. Mix brown sugar and spices, fill apple cores with this mixture. If using dates, place one inside each apple cavity. Top each apple with a teaspoon of butter. Place the apples in a microwave-safe casserole, cover. Microwave for 3 ½ to 4 minutes or until apples are tender. Allow the apples to stand for two minutes before serving. Why do we eat the foods we do? And why are some foods elevated to the status of “comfort food?” Have you ever wondered why some of your parent’s and grandparents customs surrounding food live on? There was no question that the family, Mel Brooks and Anne Bancroft had the means to purchase fresh produce from any far-reaching market. Instead Anne maintained the tradition of gardening like her mother and her grandmother before her. It was that love of fresh produce, the time with mom, and the love of creating something tangible that inspired Max to adopt the garden as a tradition for his own family. As he wrote, the traditions were not just to feed his family. They were a way to remember. I have also tried to create that tradition in our family. We have a blended family of thirteen chidren; and when my second husband and I forged our families, I implemented my traditions into the family. Each child, on his or her birthday, could request a special dinner. Spaghetti and meatballs, fragrant with basil, oregano, and lots of garlic was one favorite. So was French onion soup and cheesy French bread. But the all-time favorite in our family was hamburger gravy. Everyone loved hamburger gravy. Adopted from my years of living in a predominantly Mormon neighborhood of Salt Lake City, the dish was as common as funeral potatoes. It was warm, filling, and somewhat akin to the white sauce in chicken fried steak. To prepare, ground beef was browned and sprinkled with flour to create a roue. Margarine was added for fat, salt and pepper to taste, and chicken stock to cook down and thicken the flour. It was hardly an attractive dish and resembled slop on a plate. But served over a bed of mashed potatoes, it was heavenly. It’s the Solo poppy seed cake that reminded me of home. So what about you? What foods have you adopted from your parents, from your grandparents? Which ones remind you of home, of family, and good times. Is it a grilled cheese served with a steaming bowl of tomato soup? Peanut butter sandwiches layered with toasted marshmallows? Or a simple, savory broth poured over a slice of toasted cheesy French bread? What habits or tastes will your child develop because of your influence? Many of these questions are explored in The Cassoulet Saved My Marriage, a collection of essays edited by Caroline Grant and Lisa Harper, maternally oriented authors in their own right. Each essay, from one author’s angst over her son’s picky eating habits to the annual cassoulet dinner that ultimately prevented one couple from signing divorce papers, describes the intertwined memories of food, flavor, and relationships. So how does this relationship with food really begin. Tamar Adler, author of An Everlasting Meal: Cooking With Economy and Grace suggests that we first learn to eat as young children within the family unit. As our palate for solids expands, we expand our repertoire of tastes through our parents. Over time, Adler suggests that kids eventually branch out. Thanks to school lunches, social gatherings, and peer influences, kids begin to “gourmandism” or develop a taste for the finer things. It’s not that we train our children to seek out and eat truffles like a wild boar. Rather, we give them a foundation so they feel brave and daring enough to experiment on their own. But, not all food choices are conscious ones. According to the National Institutes of Health, some foods a pregnant mother eats can flavor the amniotic fluid more strongly than others. Garlic, onion, strong spices are some that can do that. Research suggests that these foods can actually predispose the infant to develop certain preferences early on. For example, I once had a friend who hated bananas. She had always hated bananas and couldn’t remember a time when she didn’t detest them. As an adult, she found out that her mother, while pregnant, had had such a craving for bananas, she would eat nearly a dozen every day. On the other hand, I have never liked anchovies (save for a rare pregnancy-induced craving when I ate a salty fillets rolled with capers). My mother adored them. Although it could be, I’ll never know for sure. As parents, how can we influence our childrens’ palettes in intentional ways? How can we create traditions around food that our children will always remember? There are simple actions you can take early on. Make dinner intentional. Eating food should be intentional, not something you gulp while driving in rush-hour traffic.. Your child should learn that dinner with the family is expected, a time to swap stories, decompress, and reconnect. It should be a time when your child is encouraged to embrace simple foods and love of family. If possible, you should encourage your children to propose meal suggestions and to cook. If they’re more invested in the cooking, if they learn how to experiment with food, they’ll be more apt to eat it. Introduce healthy foods early on. As long as your child doesn’t battle with food allergies, you should slowly introduce fresh, healthy foods as early as possible. If your child is a picky or cautious eater, be patient and continue to introduce new foods on multiple occasions. Tastes change and over time, your child may develop a palate for some of the foods she didn’t like early on. Eat the way you want your child to eat. If you serve peas to your child and but you eat a pint of ice cream in the family room, you’re probably undermining your child’s learning. If you want your child to eat salad, you better eat it too. This is especially true during the early years (0-5 years) when your child is looking to you as a role model. Don’t forbid certain food. Okay, if your child has an anaphylactic nut allergy like mine do, forbidding nuts is perfectly reasonable. I’m taking about dessert and candy. Allow these on occasions. Even better, teach your child how to make desserts with fresh, healthy foods. Cooking is an activity that encourages tasting and eating. 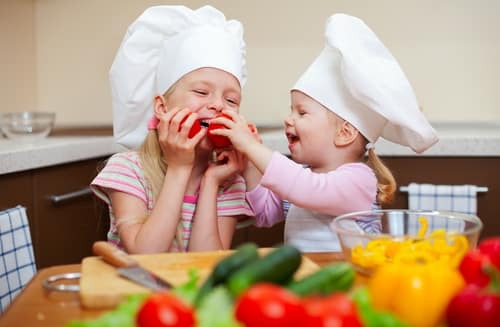 If your child develops a love of cooking, she will most certainly want to eat too.Dessert is fine now and then and if you teach your child how to make desserts with fresh, healthy foods, she will be more receptive to trying it and will remember the cooking time you spent together. Make trips to a local pick-your-own farm. There is nothing as magical as a farm for a young child. The cows, horses, chickens, and the fruits and vegetables, normally presented on her plate are there to touch and smell. I still remember my 24 year old dripping red from juicy strawberries we had just picked at a farm. Encourage your child to taste the fruits and vegetables she picks. There is nothing like a fresh grape off the vine, corn off the stalk, or an apple plucked right off the tree. Apples taste better plucked from the tree. Make cooking and eating enjoyable. A child should learn that eating and cooking together is precious and memorable. Eating food together is more about building relationships and less about the food. Your child will relish the memories with you for always and will want to reproduce them with her own children. Discourage mood eating. If you’re child had a hard day, don’t sooth the sadness with a slice of apple pie. Emotional eating is a tough behavioral habit to break and one you certainly don’t want to encourage. In addition, if you’re an emotional eater and reach for those Hostess cupcakes during a frazzled moment, stop for a moment and wait it out. Again, if you’re an emotional eater, your child will take signals from you that it’s okay. Make mealtime celebratory. Serve hamburgers and hotdogs at formal dinners. Decorate the table or kitchen to make it festive. Teach your kids how to make origami paper napkin shapes. Whatever rituals you employ, remember, they will be stored in the annals of your family’s history. It’s summer and you know you should do some kind of activity with the kids. But it’s HOT. Sounds like the perfect time to teach the kids how to whip up some kid-friendly linguini with no-cook pasta sauce! This is a great recipe to have in your repertoire. The longer the sauce ingredients marinate, the better the pasta. So you can leave the sauce in a covered bowl on your counter until just before you plan to eat. All you have to do is cook the pasta, drain, and mix with the sauce. But being make-ahead is not the only benefit to this recipe. There’s no slow-cooking red sauce to heat up your kitchen and because the sauce is uncooked, it’s lighter and fresher tasting. It’s the taste of summer in a bowl. The colors remain brighter, too, with their red, white, and green echoing the colors of the Italian flag. 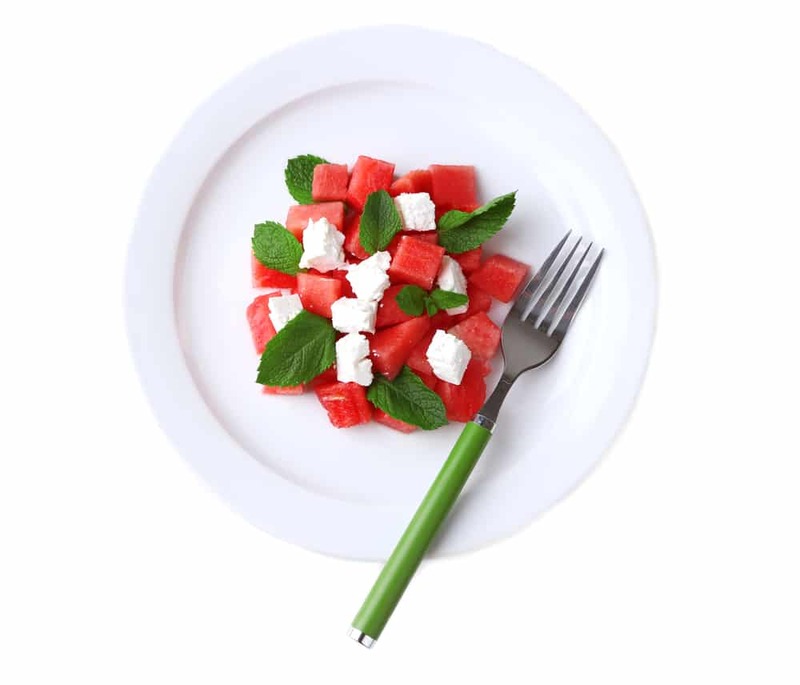 The fresh basil is packed with vitamin E, of course, and the bright herbaceous flavor is irresistible in summer, when it can seem too much effort to eat. Extra bonus: because your children are making this dish, they’ll be eager to eat it, even if they usually shy away from herbs or tomatoes. What could be bad? A six year-old should be able to prepare the sauce ingredients with some guidance from a parent or older sibling. You can cook the pasta yourself and toss it with the sauce. Make sure you take photos of your proud little cook, honing his or her knife skills! Put first seven ingredients into large serving bowl. Stir to combine. Allow to sit for at least an hour and a half at room temperature. Cook linguine according to package instructions. Drain. Toss with sauce. Serve. It’s kind of odd actually, that I would have developed some workable recipes for tofu, since I’m a YOLO foodie that delights in high fat, high carb, and high sodium foods. The thing is, one of my 12 kids turned out to be allergic to milk as an infant. He was so dreadfully allergic that if I ate ice cream and nursed him an hour later, he had a severe reaction (which you will thank me for not detailing here). Though armed with an EpiPen just in case, it was clear I had to find an alternative source of calcium for me, that is, if I was going to continue to nurse him. There was no way I was going to wean a child of mine at the age of 3 months (did I say he was 3 months? ), so I discovered tofu, which I was told was calcium rich. The only problem was that tofu was not yet widely available where we lived. I looked into making my own. The process of making homemade tofu kind of took over my life for a while, but the stuff saved me (and my bones) during that lengthy period of time where I could not eat dairy. Once I learned how to make tofu from scratch, then I had to figure out how to make it edible. I came up with a few recipes that suited my picky palate. 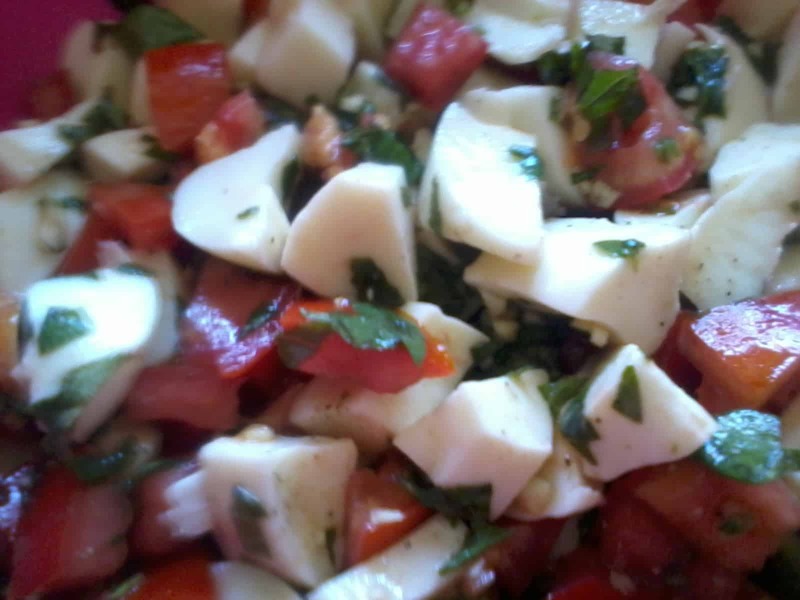 Then of course, when I prepared it for me, my family members would beg me for tastes. As a result, even after my now 24 year-old son grew out of his allergy, a few of those tofu recipes became part of our family meal repertoire. There’s the fake Greek salad, with tofu cubes marinated in a salty dressing so they rival the best feta cheese, my fake meat and “cheese” lasagna that would make your Italian Nona green with envy, and my TLT sandwiches with tofu “facon.” Lucky for you, I am now going to share my easy-peasy recipe for the latter which is a great way to get calcium and soy into children. Send your kid off to school with a couple of these babies in her lunch boxes and every kid in school will try to make a trade. But she’ll refuse. See if she won’t. Make as much or as little as you like. Use approximately 3 slices of tofu per sandwich. Slice tofu thinly. Layer sliced tofu in a bowl then generously season with Tamari sauce and granulated garlic. Repeat, until all the tofu has been layered and seasoned. Let the tofu marinate, refrigerated, for at least an hour (if you’re not in a hurry). Pour canola oil into a frying pan to a depth of about 1/8 inch deep. Heat the oil on medium heat. Add tofu in a single layer, fry until brown on both sides. Drain the fried tofu on paper towels. Spread bread with mustard, add a lettuce leaf, some tomato slices, some onion slices, and about 3 slices of the fried tofu. Top with second slice of bread spread with mustard. Cut sandwich in two. Serve. Store bought granola bars? You’ve got competition. And that’s saying a lot, considering your homemade treats don’t have the built-in advantages of the ubiquitous but glitzy supermarket store bought breakfast bar. That’s just the way the cookie crumbles. Real cookies. You know. Those things your grandma used to make? Cookies?? Who the heck has time to make THOSE? But yeah. When you pull yet another box of those supermarket store bought granola bars off the shelf and pile it into your cart, you feel a little pang that might just be guilt. You could make those yourself, you’re thinking. You could make them at a third of the price. They’d be healthier and tastier. And when you rush your kid out the door on a hectic Monday morning when NO ONE had time to eat breakfast and you shove another one of those store bought granola bars into his little hands saying, “Here. Eat this,” aren’t you just a wee bit disgusted with yourself? Yeah. You are. But hey. What can you do? There’s just not enough time for you to do more. Cookies are a lot of work. Cookies. Grandma made them a long time ago. Your mother too. But that was before women were liberated and joined the workforce. Now, instead of wearing frilly aprons and cooking their little hearts out, women are no longer little and no longer in the kitchen. For the most part they’re in the office. In between dropping off the dry-cleaning, picking up the kids from daycare, and balancing their checkbooks. It’s true. But do you honestly know ANYONE who doesn’t like cookies? Of course you don’t. The person who doesn’t like cookies does not exist. So let’s talk a compromise. Let’s say that once in a while, you’ll make cookies. You’ll carve out the time, just as you do for romance with your husband, and quality time with your kids. You’ll find a way to do it, because, hey! You’re Superwoman. You can do everything. Your husband believes that. And so do your kids. So you’ll make cookies and they’ll be cookies TO DIE FOR. The other kids will be begging your kid for a taste. They’ll trade him things: marbles, a half-dead turtle, iPhone 5’s. He’ll come home and tell you about it. And this big ole smile will light up your face and you will feel vindicated. For a while. And when the cookies are gone, you can look to the right and left of you in the breakfast bar aisle of the supermarket before you stealthily slide another box of those store bought granola bars off the shelf and into your cart, covering it up with fresh kale leaves (seriously???) lest anyone see. Even though they all buy them too. These giant oatmeal cookies are irresistible with their full tablespoon of cinnamon goodness and moist chunks of dates. They’re healthy as well as filling. Small children will find half a cookie fills them up. They can save the other half for a snack—or perhaps for sharing with a very good friend! Preheat oven to 375° Fahrenheit. Line 3 cookie sheets with baking parchment paper. Cream butter and brown sugar in large bowl. Beat in honey and eggs until mixture is smooth. Sift flour, cinnamon, and salt together. Stir into creamed mixture with a wooden spoon. Add oats and chopped dates. Stir until well combined. Shape dough into 2-inch balls. Place 8 balls on each cookie sheet. Flatten each ball with your palm. Bake until lightly brown, around 15 minutes. As soon as you take the cookies out of the oven, carefully remove each cookie from the cookie sheets with the aid of a spatula. Place cookies on wire racks to cool. Here’s where you stifle a sigh. Under no circumstances is involving your child in kitchen tasks any sort of “help.” But if you say so, you’ll be a bad mother. 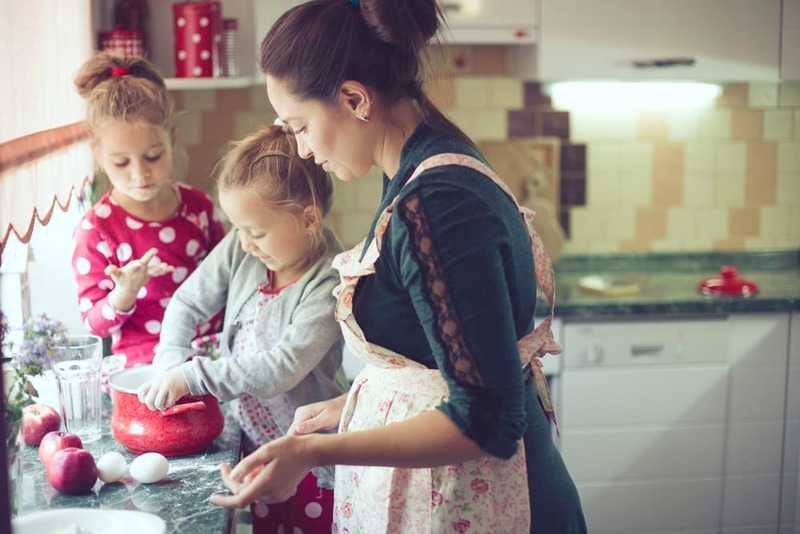 So instead of saying no, you push down your impatience and give your child some kind of task to do: sifting dry ingredients, cracking eggs, measuring chocolate chips, knowing it will be the dickens to clean up the mess after the fact, knowing that there, too, a “good mother” will involve her child in cleanup as well. Everything can be a learning experience. The problem is, the most realistic time to have a parent/child baking session is during the summer vacation. But that’s when people LEAST want to bake. Why heat up the kitchen when you can purchase baked goods? It’s a conundrum, no doubt. As to the first problem, when it comes to baking, as opposed to cooking, children like almost everything. If it’s sweet, they will generally eat it. So no big deal there. But as for the second problem, that one’s a bit trickier. There are no-bake cookies where all one needs to do is mush a lot of stuff together with one’s hands, but what does that really teach a child? If you want to stretch a child’s mind and skill sets, you have to set the bar of achievement ever higher. You want the recipe to teach something, don’t you? If your kid can easily do all the steps, she’s not really learning anything. So you’ll need to let her try and fail to crack eggs cleanly and sift flour without making a mess all over the counters. These are skills she has the RIGHT to learn. What is really important is to schedule a baking session for a morning or afternoon when you have lots of time. That is when you’re liable to be calm and have lots of patience to work with your child. Choose a recipe that’s just a touch harder than what she might manage on her own. The following two recipes are my fallback recipes for when I don’t feel like going all out on a home baked dessert. Both recipes take little effort and produce results so tasty that you’ll be embarrassed when friends and guests request the recipe. 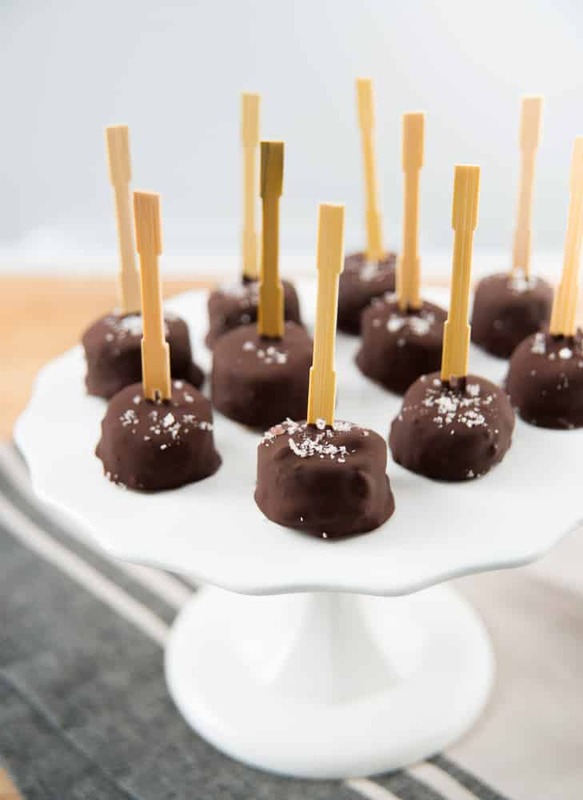 You may not want them to know just how easy it is to make these mouthwatering treats. Kids will need help using the mixer on both recipes. You want to point out to your child what the butter mixture looks like when properly creamed, and how to know when the cookies and bars have reached the proper degree of doneness. Let your child get a good whiff of vanilla and ask her to describe the smell. Most of all, have FUN! The first recipe combines peanut butter and chocolate, a popular combination. If your child is allergic to peanut butter, you can substitute almond or cashew butter. Preheat oven to 350° Fahrenheit. In large mixing bowl, beat peanut butter and butter or margarine until smooth, about 1 minute. Add sugar, eggs, and vanilla extract; beat until creamy. Blend in flour and salt. Stir in 1 cup chocolate chips. Spread until ungreased 13”x9” rectangular baking pan. Bake 25-30 minutes, or until edges begin to brown. Immediately, sprinkle remaining chocolate chips over cookie layer. Let stand 5 minutes until chips become shiny and soft. Spread melted chips evenly over top. Cool completely. 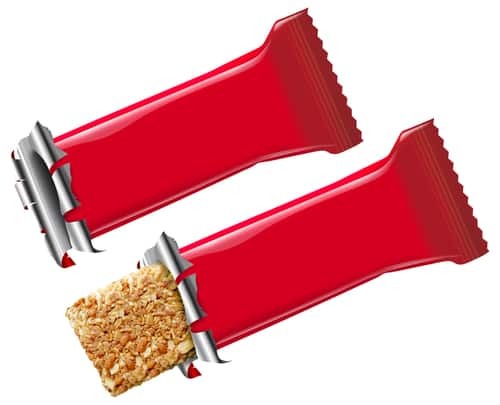 Cut into 1 ½ inch bars. Makes 48 bars. The second recipe here is an easy cookie recipe, which unlike some cookie recipes, doesn’t make a huge amount, which means you won’t be committed to the project for an entire afternoon! These cookies are plain, yet divine, with a crackly outside and a rich, dense center. What’s not to love? Cream butter and sugar until light and fluffy. Blend in vanilla. Add flour gradually, mixing until smooth. 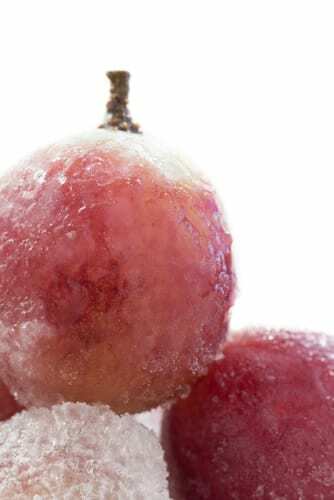 Chill, if necessary, then form into balls and roll in granulated sugar. Bake on a baking parchment paper-lined cookie sheet at 350° Fahrenheit for 12-15 minutes, or until a delicate tan. Makes about 4 dozen cookies. Who doesn’t want to make kid friendly breakfasts? We all want our kids properly fed before school, right? And we want them to like what we serve them. But how can you get a decent breakfast into your child when mornings are so hectic? The best answer is the portable breakfast that is grab and go. By now, we all know that breakfast is the most important meal of the day. Breakfast, however, is likely the most problematic meal, as well. In many homes, chaos reigns in the early hours. There are kids to dress, not enough bathrooms, papers to gather, and a need to get on the road before morning traffic sets in (actually, mornings are far worse than this in most homes, but you get the idea). You know what’s coming next, don’t you? That age-old solution called “Advanced planning.” Ugh. There it is again: someone telling you to prepare something ahead. If you prepared in advance, everything the experts suggested, you’d likely find yourself in the Dark Ages. There aren’t enough hours in one day to do it all. We know. But there just isn’t any way to get around it. So instead of fighting it, go with it and make it work. Make lists. Lots of lists. And follow through. Kids need protein, omega-3 fats, and vitamin B, among other nutrients, to fuel their brains during the long school day. You don’t want them slumped over their geography books. You want them to have the energy and brain power to take in all the knowledge they can in the classroom. They get that from breakfast. If you send them off with food they don’t like, they won’t eat it. It’s as simple as that. If you put some thought into what they like and what they need, you’ll definitely find a way to satisfy both their nutrition requirements and their taste buds. 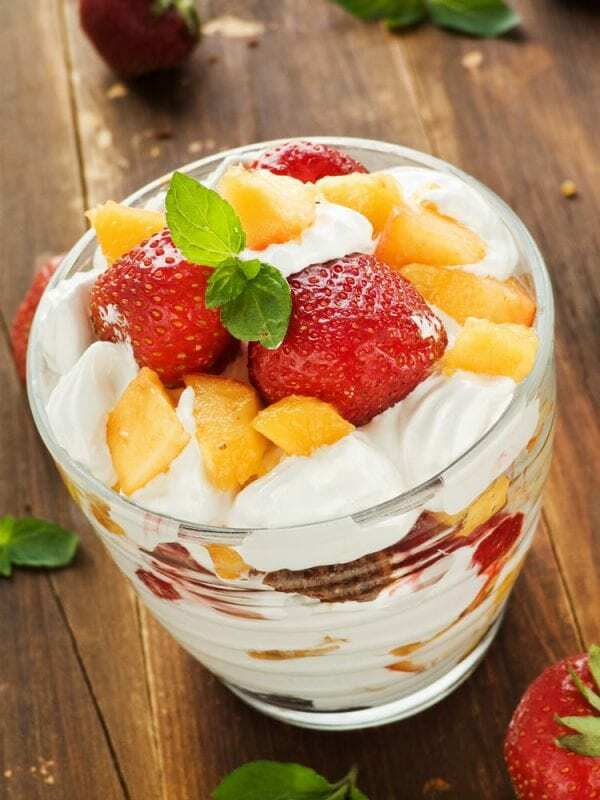 There’s no way they are going to give away their breakfasts or toss them in the trash when you make them things like our Tropical Fruit Parfait. By the way, the following recipes aren’t only for kids. Even adults will enjoy these breakfast treats and will find they have better concentration, improved memory, fewer mood swings, and more energy when they do. Here are four of our favorite healthy breakfasts to grab and eat on the run. Use tall disposable see-through cups or clear reusable containers to show off the pretty layers. Add a plastic spoon and you and your child are good to go! 2 tablespoons, plus 2 teaspoons minced candied ginger, plus more for the garnish, reserved. Mix first 3 ingredients in a medium-sized bowl. Divide half of yogurt between two cups. Top the yogurt with the granola, divided evenly between the two cups. Spoon fruit mixture over the granola, half for each cup. Spoon half of the remaining yogurt over the fruit mixture in each cup. Top with reserved chopped, candied ginger and serve. Your child’s eyes will light up when you offer these fruit-studded nutrient-dense breakfast muffins. You can whip them up in less than an hour and freeze them for convenience. 1 1/2 cups fresh or frozen blueberries (6-7 ounces, unthawed). You can also use rehydrated dried blueberries. Use 1/2 cup water and 1 cup dried blueberries. Leave in refrigerator for 12 hours before using. Preheat oven to 400°F. Line a 12-cup muffin tin with cupcake papers. Combine dry ingredients in a medium bowl and whisk to blend. Place mashed bananas in large mixing bowl. Whisk or stir in soy milk, egg, canola oil, and lemon juice. Mix in the dry ingredients until just mixed, and then the blueberries. Place the batter into the prepared muffin tin, dividing batter evenly. 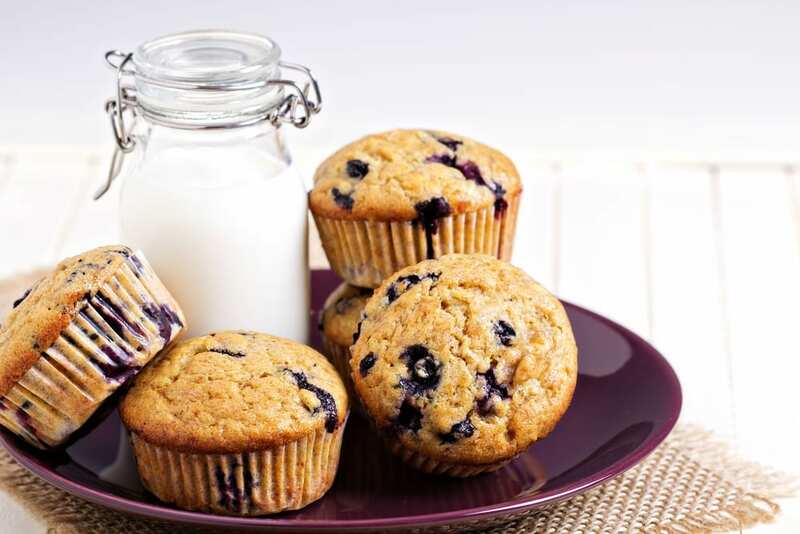 Bake the muffins until a tester, inserted into the center of a muffin tests clean, around 20 minutes. Turn the muffins out onto a cake rack and cool at least 10 minutes. Cool completely before freezing. Can be served warm or at room temperature. 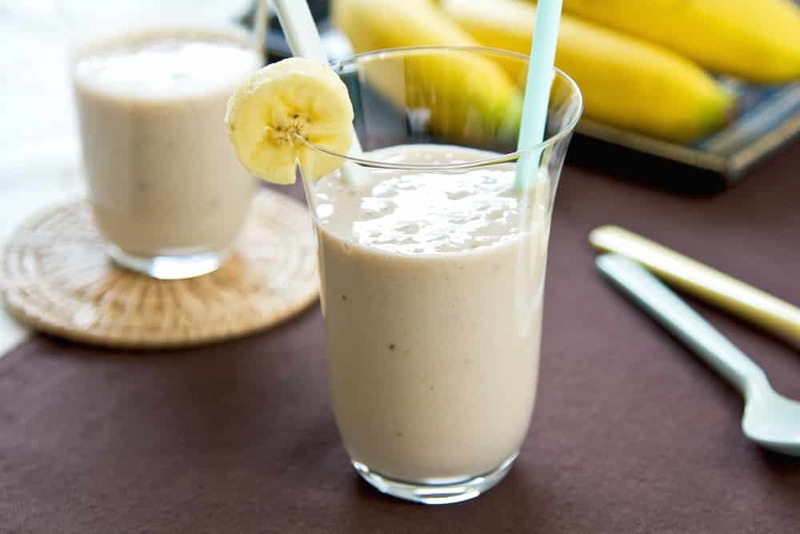 Bananas are a wonderful source of potassium and vitamin B and the peanut butter adds some much-needed morning protein. Put the shake in a travel cup with a straw. This is a FUN breakfast! 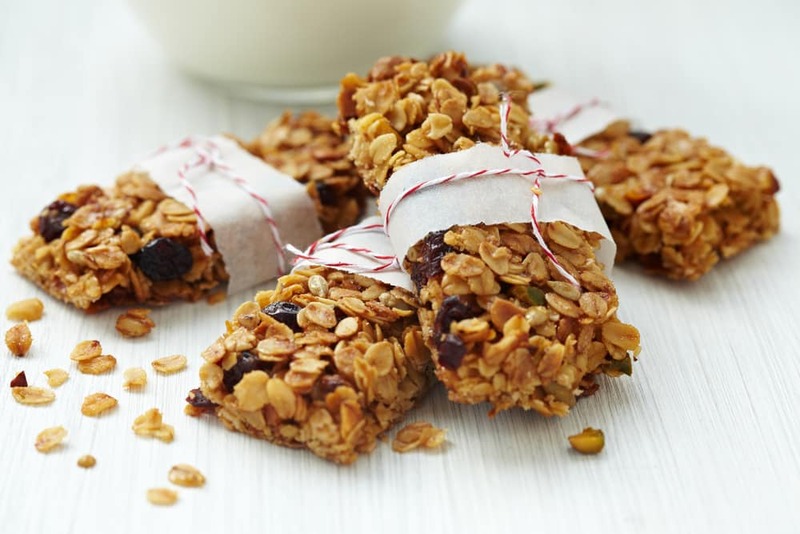 Instead of buying the expensive, overly-sweet supermarket granola bars that have all sorts of additives, make your own to have some control over the ingredients. Your kids will like them just as much, maybe even better! You’ll save money, too. Heat oven to 350º F. Coat a 9- by 13-inch rectangular pan with nonstick cooking spray. Melt the butter in large pot over low heat. Remove from heat and whisk in the sugar, honey, whole wheat flour, vanilla extract, and cinnamon. Add remaining ingredients and mix well. Transfer the mixture to baking pan. Using a sheet of waxed paper and the palms of your hands, press the granola firmly into pan, until it is level and of even thickness. Bake 20 minutes until golden. Allow granola bars to cool 1 hour in pan, then transfer to wire rack to cool completely before cutting into rectangular bars. Wrap individual bars in aluminum foil.